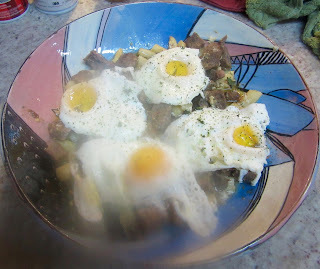 Bard meat with slices of lard and scallions. Refrigerate overnight. 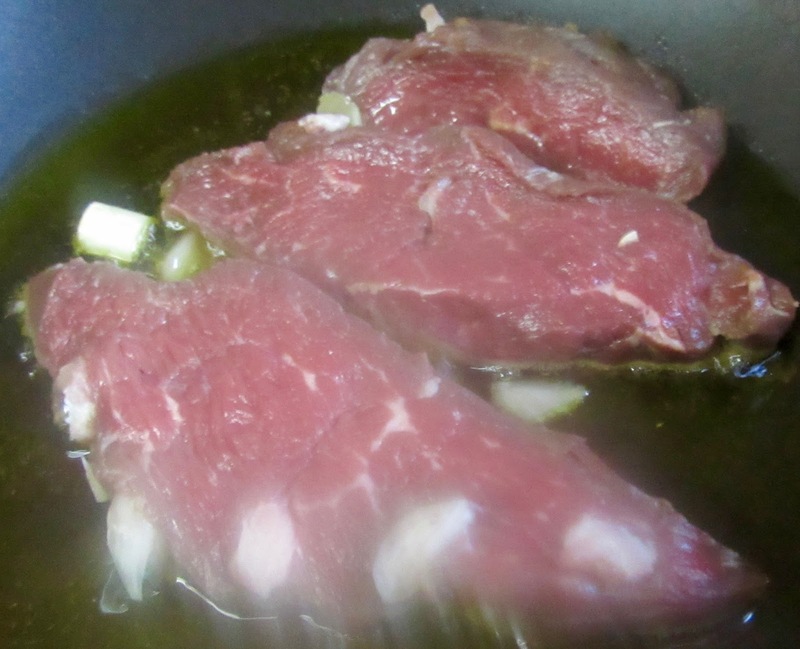 Slice meat and brown in hot olive oil. Salt to taste. Add meat broth. Cut asparagus the size of fingertips and add to meat. Simmer. When half cooked, break eggs over the stew. Add vinegar and murri. Cook until meat is tender. Sprinkle with cilantro and serve God willing. Although Huici and Perry concur on the title but Huici uses asparagus and cauliflower in the recipe. The Medieval Spanish Chef’s review of late Medieval Spanish Chronicles does not indicate that cauliflower was known in Iberia at that time.